Door Companies Keller Tx, Pro Door Repair is the premier Door Companies Keller Tx provider. We offer the largest selection of residential entry doors in the Metroplex, as well as quality service repairs on any door in your home. To learn more about how we may assist your needs, see our list of services below. If you’re interested in contacting us or requesting a quote, click here. Pro Door Repair is a door co that has been in the door business for over 20 Years and Door’s are all we do, Pro Door Repair offers you a wide range of Custom WOOD DOOR and FIBERGLASS DOOR design, Custom fiberglass door design, Patio door replacement, sliding door replacement, custom patio door design.and moor. Let us show you what we can offer you, We wont you the customer to get the best products and service you can get. We build your ENTRY DOORS to order so it will fit even if you have a off size door. We can custom size any wood door unit and in most cases even a Fiberglass Door unit. All our door units are built right hear in Fort Worth Tx By Resdoor co. We will build you that special WOOD DOOR to fit your tast. Doors: A replacement door installer is just a phone call a way. Pro Door Repair / Replacement Doors is one of the most respected name brands of replacement doors Company’s around. All types including patio doors, entry doors. XO, OX, OXO, OOX, OXXO, XOX, XOOX ……. RY TX built to your dimensions and configuration since 1946… XO, OX, OXO, OOX, OXXO, XOX, XOOX What’s This? 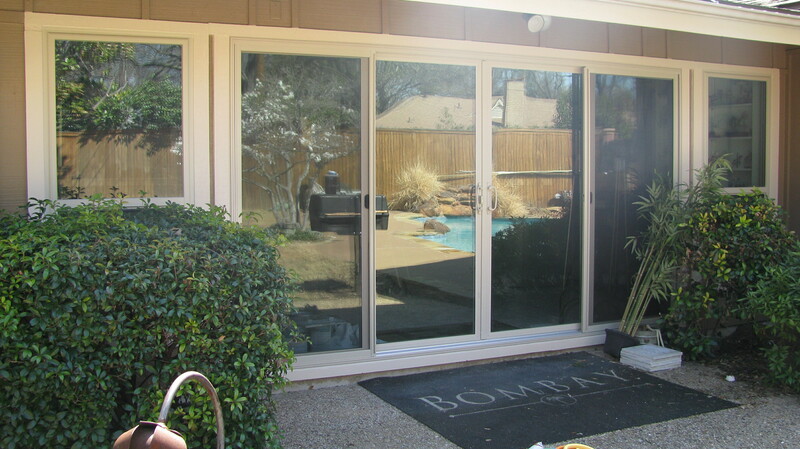 Patio Doors available in single-glaze or dual-glaze 5/8” or 3/4″ with optional heavy-duty deluxe screens. Handles available from the standard Black to speciality handles in Brushed Chrome, Black Nickel. White and Brass. Available in stock 3 finishes: Mill, White Paint, Clear Anodized, Bronze Paint, and Bronze Anodized. Special order powder coating to match existing available upon request. This is the form that people fill out to request a quote.